The wait is over…it’s Book Launch time! Saturday, September 27th – 3 p.m. I have no delusions of attracting more people than Scalzi, but ten?! I hope you’ll help me show B&N that mystery fans are just as dedicated – if not more so! – than sci-fi readers. Plus it will be fun! 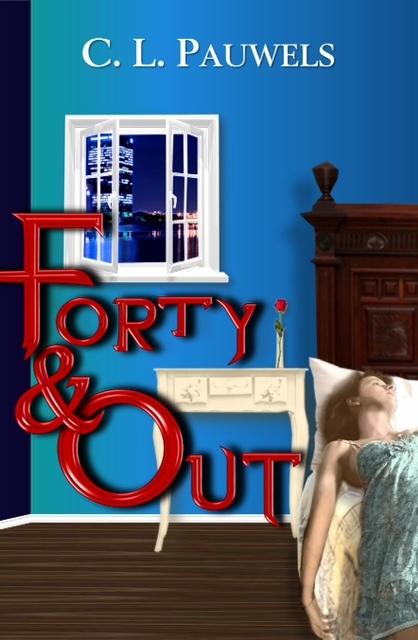 I’ll read a bit from FORTY & OUT, talk about the long, strange journey the story took to reach publication, and answer questions. Rumor has it there may be prizes, too. 7 Responses to The wait is over…it’s Book Launch time! Exciting, overwhelming, terrifying…but lots of fun! Hey Cyndi! I’m so hoping you get a big crowd! I just found out that my boss approved my request to leave work early that day so I can make the launch at B&N, so I should be there! Looking forward to celebrating with you! So kind of you! I look forward to seeing you again. Thanks for the good wishes. Oh yay!! I didn’t realize you hadn’t officially launched yet. Many congratulations! !